Featured in Social Media - 2life is the app for your most important relationship—a private, secure and organized environment designed for two. Chat, share, collaborate and coordinate with your partner, all in one place. In a hyper-connected world, the one connection that matters most to you can get lost in the clutter of multiple apps and many people’s messages. One tap takes you into 2life where you can communicate, share and plan with only your partner, in one colorful, easy-to-use app. The Bay Gift Registry By 2 For Life Media Inc. - Are you getting married or attending a wedding? 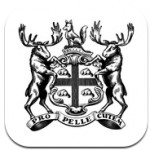 The Bay Gift Registry iPad app is your source for amazing gifts to give and receive. The Bay offers Canada’s most comprehensive gift registry—just think of us as your registry concierge. Tap the gift registry tab to create your registry then use our Wedding Guide to create your ultimate Wish List. You’ll find hot designer brands, exclusive products and a whole range of fashionable styles and colours. You can’t build a registry like this anywhere else! Featured on the App Store - Lifestyle - This app built on the ITG Publishing System presented articles by 2 For Life highlighting almost everything you need to plan your wedding. Articles in a digital magazine style covered top wedding trends, wedding style ideas with amazing photo essays, an online gown search, designer dress directory, wedding day primer and more. 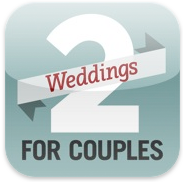 The app also featured a link to 2's wedding twitter feed. A special built in micro app is the Wedding Worksheets to help you plan the wedding budget, seating plans, honeymoon packing list all designed to help you make your wedding plans. 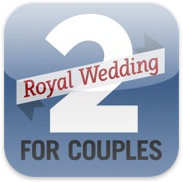 ROYAL WEDDING 2011 – Keepsake Edition: iPad app - This app built on the ITG Publishing System presented articles by 2 For Life highlighting the upcoming wedding; Fun facts about the royal couple, a map of London's royal hot spots, bling for the future king, dress shopping for Kate and more. The app also tied into 2's WillandKate Facebook page with minute by minute updates as well as special News Wall with a real-time news feed, access to the 2's royal Guest Book. The original Royal Wedding apps included live updates from the UK Press Association, a live guest book, Twitter feed and FaceBook content. The Keepsake Edition contains the final snapshot of user content and feeds, as well as a commemorative Photo album and video. 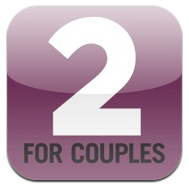 2 FOR COUPLES: Issue No. 1, No. 2, No. 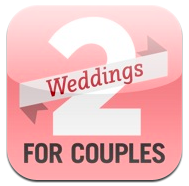 3 – iPad app - Get the latest issue from 2 for Couples—the best 2 bucks you can spend on your relationship each month! Learn how to get in shape with your mate, take a peek inside a real couple's home, and get tips for hosting a movie-themed fete. And if you're itching for a holiday, check out our A-list getaways section for celeb-approved hot spots. Read it together... on your iPad, which is built for 2! The premier issue includes 2LIFE - "Our 2Life section enables you to create profiles for you and your partner to share valuable information (e.g. important dates, sizes!, household projects) of relevance to the two of you as you embark on your lives together. 2Life is your private area to have with your partner, and you can constantly go in and make updates." PARTY TRICKS: The Ultimate Entertaining Guide – iPad app - Celebrate your next get-together in style with PARTY TRICKS: The Ultimate Entertaining Guide by 2 For Couples. You’ll find tools to plan the perfect party, from brunch to cocktails and everything in between. 101 BRIDAL GOWNS: Big Style For Your Big Day – iPad app - 101 BRIDAL GOWNS takes the guesswork out of finding the perfect dress for your big day! Categorized by up-to-the-minute bridal trends, the app's portrait mode will inspire you with the best gowns, styled alongside luxe handbags, fancy footwear, and beauty loot fit for even the savviest of shoppers. 101 AMAZING GIFTS By 2 For Life Media Inc – iPad App - 101 AMAZING GIFTS app has great ideas for everyone on your shopping list! 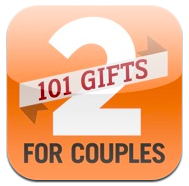 This must-have gift app by 2 for Couples is chock full of great shopping ideas for that next holiday, birthday, anniversary or 'just because', and covers everything from style and home to gadgets and one-of-a-kind finds. ROYAL WEDDING 2011 by 2 For Couples - The app had a countdown to the big day, News supplied by the royal family's Press Associations, Royal Souvenirs, a royal guestbook where users could leave a message for the royal couple and 25 Days of royal giveaways. Featured on the App Store - Lifestyle - A refresh of our first app collaboration with 2 For Life Media - includes 2DAY, a dynamic feed with content for couples about couples, 2MAG, the most recent issue of 2 Magazine, SHOPPING, dynamic content or items to buy for Him, Her and Home, DATE NIGHT, ideas for couple outings, MORE2 which includes past issues of 2 Magazine delivered to the app all for FREE.